Scotland’s prisons are “bursting at the seams” as new figures show the majority were at, or over, capability last month. 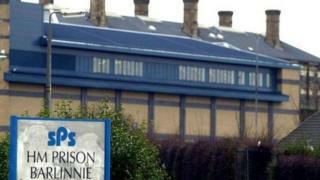 HMP Barlinnie in Glasgow was operating at 139% capability in December while HMP Inverness was at 137%. Scottish Liberal Democrats’ justice spokesman Liam McArthur warned that inmates were being “packed into prisons like sardines”. The Scottish government said it was focused on stopping people going to prison in the first place. The figures were disclosed following a parliamentary question from the Lib Dems. Other websites at, or outstripping, their hostage limit were Addiewell, Dumfries, Edinburgh, Glenochil, Kilmarnock, Perth and Shotts. Five prisons out of 15 are currently in, or beyond, their capacity in the early stages of 2018 – the figure rose to nine by the end of the year.